Rational persuasion and appeal to an audience's emotions are elements of most literature, but they are found in their purest form in oratory. The speeches written by the Greek Orators for delivery in law-courts, deliberative councils and assemblies enjoyed an honoured literary status, and rightly so, for the best of them have great vitality. There is no crude, primitive stage of development: the earliest speeches are perfect in form and highly sophisticated in technique. They inform the reader about aspects of Greek society and about their moral values, in a direct and illuminating way not paralleled in other literature.This edition offers a contrasting pair of early orators. In his speech The Murder of Herodes, edited by Michael Edwards, Antiphon relies on a varied and resourceful use of probability argument, presented with great force and gravity. Motivation of both defendant and prosecutor is also explored thoroughly, as are the religious aspects of homicide. The five speeches by Lysias, edited by Stephen Usher, illustrate that orator's skill in using narrative to portray character and his talent for creating and dispelling personal and political prejudice in difficult cases. The Commentary seeks to call attention to the orators' rhetorical and stylistic skills to a degree not previously attempted in editions of the orators, to elucidate historical and legal matters and to explain textual and grammatical difficulties. The notes are keyed to the translation, rendering the speeches accessible to the reader with little or no Greek.Greek text with translation, commentary and notes. Stephen Usher was Senior Lecturer in Classics at Royal Holloway and Bedford New College of the University of London. He wrote extensively on oratory and is the author of 'The Historians of Greece and Rome' (Hamish Hamilton, 1969), 'Dionysius of Halicarnassus: Critical Essays' (Loeb Classical Library, Harvard University Press, 1974), 'Greek Oratory: Tradition and Originality' (Oxford University Press, 1999) and 'Cicero’s Speeches: The Critic in Action' (Aris & Phillips, 2008). 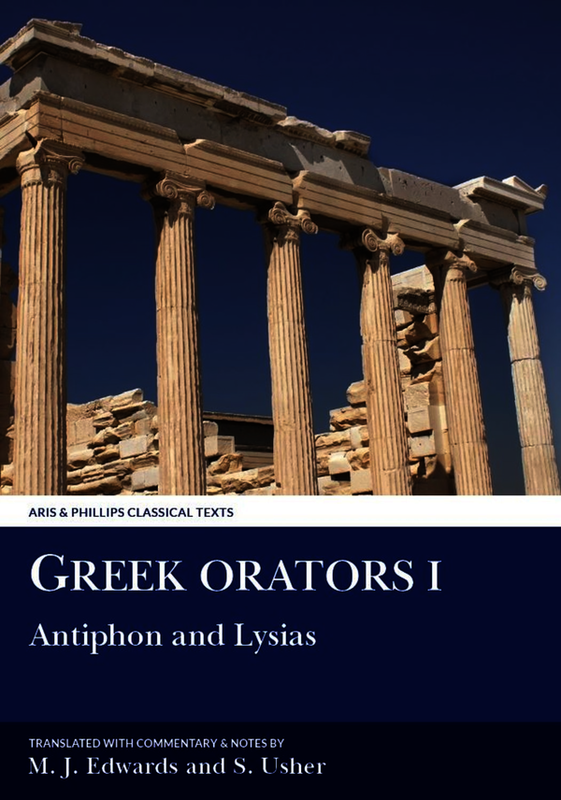 He has also edited and translated speeches for 'Greek Orators' I, III and V in the Aris & Phillips Classical Texts series (volumes I and III co-edited with Mark Edwards).